Real Change: Can your small donation help address chronic homelessness and addiction? One of the most visible outgrowths of the opioid epidemic in Philadelphia has been a sharp increase in panhandling. Passers-by often feel conflicted — unsure whether giving money to a panhandler provides real assistance or simply enables an addiction without addressing underlying causes. 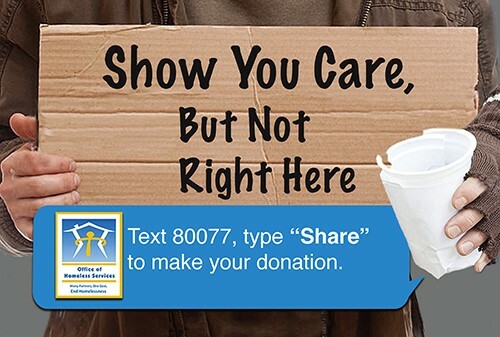 Last spring, the City of Philadelphia’s Office of Homeless Services launched “Show You Care, But Not Right Here,” part of a larger effort to reduce panhandling and increase resources to help with homelessness called Real Change. The November Roundtable will feature a presentation by the Office of Homeless Services on panhandling, the results of the recent intercept survey, and the “text to give” real change effort. Attendees will have an opportunity to discuss the needs of people encountered on the street and what is being done to address them. This event is free, but registration is required. Click here to register.